From the first night he could see the stars from the roof of his Bronx apartment building, science has attracted Neil deGrasse Tyson. In this new book – part biography and part astronomy – Saucier follows Tyson from that early fascination to his status as one of the most respected scientists in the world. The result is a good representation of Tyson’s view of the universe. The author starts with a wide view of the universe and the Big Bang. The reader then learns about constellations, galaxies and how they were formed, black holes, stars, comets, different types of planets, moons, and asteroids. Along the way, the reader also hears about dark matter, dark energy, and space dust. 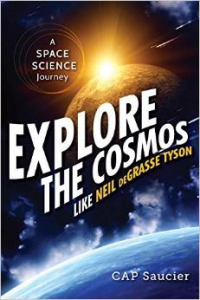 Saucier includes Tyson’s hopes for the future of space travel and exploration and about the importance of all this knowledge to the human condition. The writer also incorporates enough details of Tyson’s life to give a sense of the man behind the science. Most two-page spreads are highlighted by wonderful photographs of nebulae, galaxies, and planets. Kids will be drawn in by the colorful layout. This is a very good beginning introduction for third grade and above. There is enough explanation to give kids a sense of the topics, but it leaves the reader to dig deeper. And it creates enough excitement to ensure that will happen. January 1, 1892 was Annie Moore’s fifteenth birthday. She celebrated by being the first immigrant to set foot on Ellis Island. A long ocean voyage brought her from Ireland to a new life in America. Officials awarded her a ten dollar gold piece for being the first person to enter. Interspersed within the narrative of the Island’s history and development are short two page biographies of famous immigrants who passed through Ellis Island, such as Golda Meir, Andrew Carnegie, Fiorella La Guardia, and Bob Hope. Other interesting passages include diagrams of the ships who carried the immigrants, informative article about child labor at the time, the statue of liberty, and the kissing post. Readers will also learn about the health requirements for entering the country and what it was like to be turned away and sent back across the ocean. Pen and ink sketches help transport the reader into the story of what is now Ellis Island National Monument. It has become one of America’s most popular historic landmarks. Two million people visit each year. 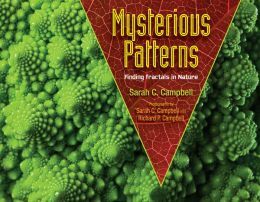 These books are well designed to fulfill core curriculum standards in the areas of history and geography specifically, though they are also very useful for teaching how to read nonfiction, charts, graphs, and diagrams. Students introduced to one of these books might naturally want to continue reading through the set. Several more are planned for the coming year. 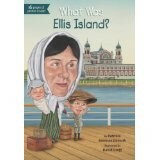 Title: What Was Ellis Island? More than one hundred years since the inception of modern art, there is still little general understanding about the discipline – what it is, what it does. In a new hands-on approach, the authors start to clear up the mystery for many readers. A brief background and history of all sculpture is followed by one- to two-page biographies of several of the giants of modern sculpture. The detailed photographs are great illustrations of the work talk about each artist. 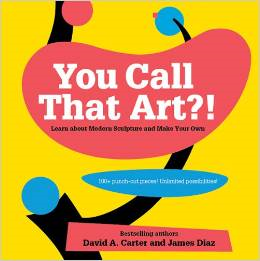 The authors are state the contributions each artist made to the art world in general and the current locations of some of their work. Third graders and up will love the hands-on approach and creating the sculptures with their own little touches. The well-researched background provides a wealth of reference material useful to much older children. There is a lot to contribute to the readers’ comprehension of the text and of the art. Through a review by a budding artist, we learned “the history section is fantastic. The authors have done a masterful job of providing enough information to whet kids’ appetite for learning about the history of sculpture” without overwhelming or boring young readers. Our artist “enjoyed the photographs of the different artists’ work and the ‘Did You Know’ blurbs that provided interesting tidbits about the artists.” She did wonder why there were only two female artists and why the biography spent so much time on how one dressed. She wanted to know more about Louise Nevelson’s artistic contributions. Regarding the materials for making sculptures, our artist “absolutely loved putting together the sculptures.” She proudly displayed them in her room. “Each piece took a while to put together, but the instructions and diagrams are clear and descriptive. She was able to complete the sculptures without any help.” The biggest problem was identification of individual sculpture parts after they were punched out of the cardboard. The pieces should probably be marked in some way. Ralph Waldo Emerson loved his home in Concord, Massachusetts. Perhaps more than most people love a home. And yet, this book is not only about the home, but the man who lived there. He was a little boy in Boston who wanted to go to the country and be outdoors. As a young man his family moved about a lot, but they did end up in the country. He collected books and friends. He married a woman who loved chickens and rosebushes. Reading this biography feels like getting to know a good friend. The narration is smooth and inviting while also being full of quotes from Mr. Emerson’s writings. The illustrations are large and draw the reader right into his office filled with books and papers and a favorite rocking chair. Fire strikes late in the night when Mr. Emerson is sixty-nine years old. The whole town comes to help save books, papers, clothes and furniture. But it is his spirit that is hurt the most. Finally, weeks later his friends convince him to go away on a trip to rest and recover. Only while away in England and then Egypt he missed his favorite people and home more than ever. When he returned to the Concord train station the whole town was waiting to greet him. The biggest surprise was how beautifully the town had rebuilt and refurnished his beloved home. 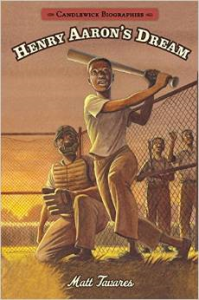 Third grade readers will enjoy this well-told biography and learn their literacy skills of using primary sources when doing their own reports. They will also see how possible it is to include read quotations in a new narrative. 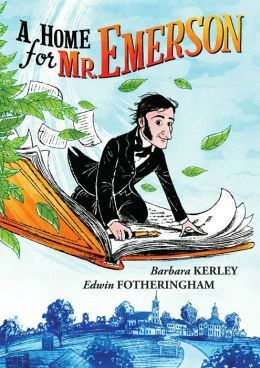 Librarians and teachers can use this as a wonderful read aloud and satisfy the core curriculum in the areas of biography as well as American literature. Art teachers can use the variations in illustrations to highlight usage of color to distinguish distance as well as personal attributes showing emotion along with many other well done techniques. This biography is a joy to read again and again. It is a well done transition from real life facts to real life story. The great team work of Barbara Kerley and Edwin Fotheringham also created the books, What To Do About Alice? The Extraordinary Mark Twain, and Those Rebels, John & Tom. It is a very talented duo! Becoming a ballerina is the dream of many little girls and this book tells them exactly how to make it happen. It is a charming combination of cartoon like watercolor paintings of little girls and boys inter-mixed with beautiful photographs of real ballerinas at practice and in performance. The vocabulary of ballet is explained in text and illustrations. 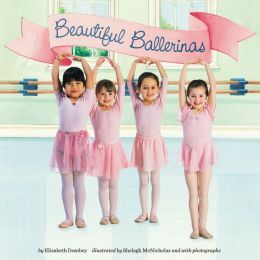 Readers are encouraged to try what they see in the pictures on their way to becoming ballerinas. There is a lengthy explanation of pointe shoes that includes their history, their manufacture, and the length of time that they last. Readers will be surprised to learn how many different pairs of pointe shoes a professional ballerina might go through in one year. The history of the dance is told in the last section of the book. 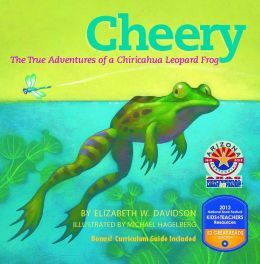 The book has been designed and written for second grade readers and third grade readers in mind as well as the core curriculum. Children are interested in the arts and enjoy learning more about them. 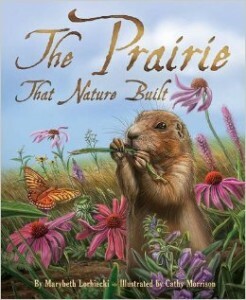 It will be a wonderful read aloud for librarians, teachers, parents and ballet teachers, too. 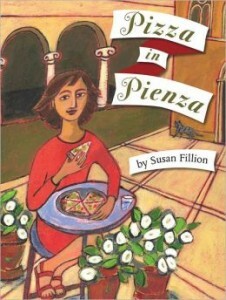 A young Italian girl professes her love for pizza in this bilingual (English/Italian) picture book. Told through a series of paintings, readers are introduced to the girl’s hometown of Pienza, where life is simple and sometimes old-fashioned, but everybody knows each other, and the constants are comforting: extended family, large midday meals, and, of course, pizza. I love to eat pizza anywhere, anytime. Even when it rains, I eat it walking in the street. Whether cooked in a hot brick oven at her favorite restaurant, or made from scratch in her grandmother’s kitchen, the young girl thinks about pizza so much that she goes to the library to learn more. Here, Fillion offers readers a simple history lesson, easily digestible for a third grade audience. Ancient Greeks and Italians ate flatbreads with onions, herbs, and honey. …But pizza as we know it was really born in Naples Italy. This book would work well as a classroom read aloud, as there are many opportunities to engage students in discussions about food, languages, and culture. Children of all ages will gravitate to Fillion’s illustrations, painted in acrylic with rich, warm colors. She has a sense of humor, too – look for surreptitious slices of pizza popping up in portraits of the Mona Lisa and World War II soldiers, among others. Back pages include an Italian pronunciation guide, a “Brief History of Pizza” (designed for parents, teachers, or upper elementary grades to dig in to), as well as a recipe for Pizza Margherita – a tasty finish.